Nothing excites me more in my self-taught cooking journey than learning to make things from scratch. Especially foods that are deceptively simple, like homemade whipped cream. In fact, homemade whipped cream is so easy to make I'm baffled I didn't learn how to do it growing up. Am I the only one that thinks elementary school kids should be taught basic cooking techniques? What Do I Need to Make Homemade Whipped Cream? 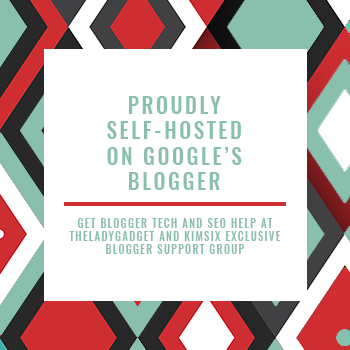 Here's the good news: homemade whipped cream doesn't require any fancy equipment, although if you have electric gadgets you might as well use them. 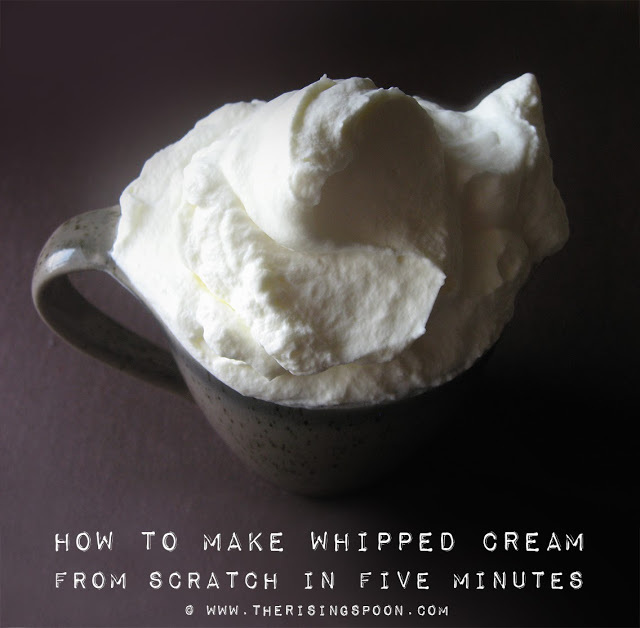 To my knowledge, there are four basic ways to make whipped cream from scratch at home. (If you know of any more, please leave a comment letting me know!) They're all easy, but two of them require a bit more elbow grease. The first two are easiest only because the equipment does all the work. However, the last two are just as easy (and arguably more fun), BUT involve a hefty arm workout as you're either stirring a whisk or vigorously shaking a jar for several minutes non-stop. The secret sauce to easy homemade whipped cream is making sure ALL of the tools + cream are VERY cold. This is especially important in the hot summer months when you're kitchen's already plenty warm. For best results, stick any bowls, jars, or utensils in the freezer for 15-30 minutes prior to making the recipe and only pull the heavy whipping cream out of the fridge right before you're ready. 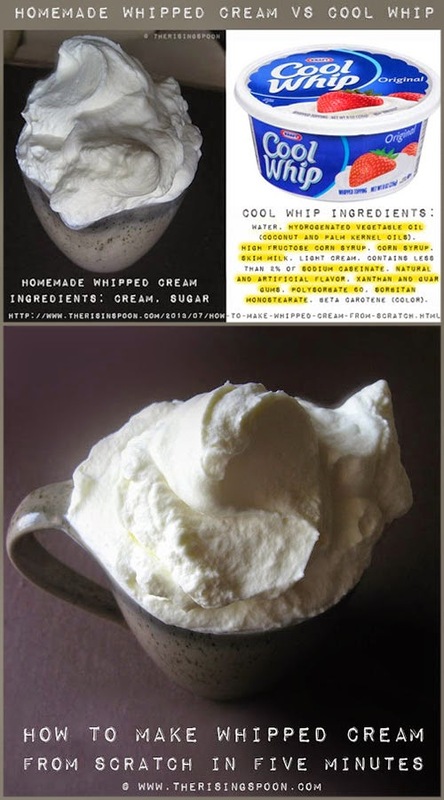 Many proponents of the "whipped topping" claim it's much more convenient to pull a blue tub of Cool Whip from the fridge and dollop it on whatever they're fixing at the time. Or, that this faux whipped cream holds up better for picnics or hot outdoor activities where genuine whipped cream would melt. Please let me dispel those myths. As I mentioned above, you need only one ingredient (heavy whipping cream) and a mason jar with a lid to make a basic whipped cream in as little as five minutes (1-4 minutes if you have a strong arm). So, it's actually faster to keep a pint of cream in your fridge & make it at home rather than run out to the store grab a tub of whipped topping. You can make homemade whipped cream 1-3 days ahead of time, keep it covered, and store it in the coldest part of your fridge until you're ready to use it. Bonus: You can even freeze it to use later, so that negates needing to keep a tub of the whipped topping in your fridge or freezer for quick uses. If you're making a batch of homemade whipped cream to use in a dessert (a cake or trifle for example) and need it to be thick and hold it's form while it's sitting out at a party, it's as simple as adding a one extra ingredient to stabilize it. 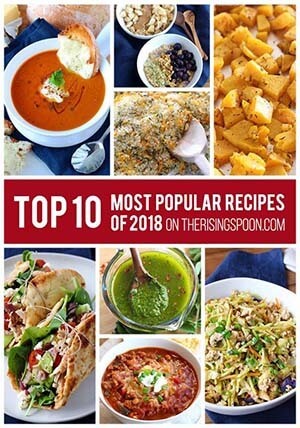 If you're interested in trying the gelatin technique, my favorite brand is this high-quality bovine gelatin from 100% grass-fed, pasture-raised cows. They also sell high-quality hydrolyzed collagen that is tasteless and dissolves easily for cold recipes like smoothies. WATER, CORN SYRUP, HIGH FRUCTOSE CORN SYRUP, HYDROGENATED VEGETABLE OIL (COCONUT AND PALM KERNEL OILS), LESS THAN TWO PERCENT OF SODIUM CASEINATE (FROM MILK), NATURAL AND ARTIFICIAL FLAVOR, MODIFIED FOOD STARCH, XANTHAN AND GUAR GUMS, POLYSORBATE 60, SORBITAN MONOSTEARATE, SODIUM POLYPHOSPHATES, BETA CAROTENE. See the single item highlighted with blue? 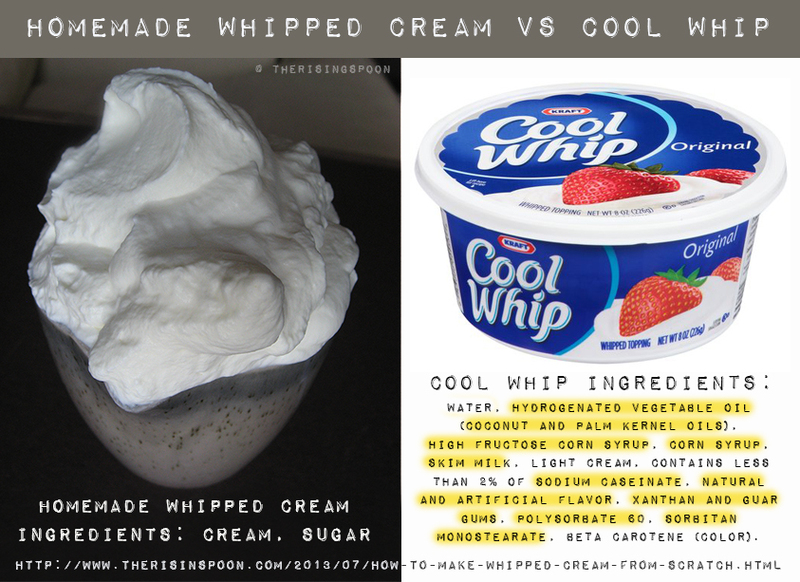 That's the sole ingredient in both products that resembles the main ingredient in whipped cream. You'll notice that in the "lite" version, there isn't a drop of cream. Sigh. What you're basically eating is whipped vegetable oils, high fructose corn syrup & emulsifiers. If that doesn't gross you out, I don't know what will! 2. a bit of sweetener (like maple syrup, honey, powdered sugar, or cane sugar). Some people stir in additional vanilla extract or cacao powder to make it fancy, but that's totally optional. Note: If you'd like to learn more about the "ingredients" in Cool Whip, read these articles by Organic Authority, Fooducate and Snack Girl. I promised I'd provide a dairy-free whipped cream option using coconut milk. And who better to consult than The Coconut Mama herself? Here's her homemade, dairy-free coconut milk whipped cream recipe. Never tried coconut milk before? It's downright delicious! This BPA-free canned brand of coconut milk is extremely popular. Ditch the over-processed ingredients and additives in store bought whipped topping and make your own homemade whipped cream from scratch in five minutes with only heavy whipping cream, sugar, and a little elbow grease. Chill the bowl and whisk in the freezer for at least 20 minutes. If you're using a stand mixer, detach the metal bowl and whisk attachment and place them in the freezer. I threw mine in a couple hours before I made the whipped cream, but it doesn't have to be in there that long. This helps keep everything cold and you DO NOT want the whipped cream to melt. Trust me, chilling your tools will make things much easier. Pour the cream into the cold bowl and immediately start whipping it briskly with the whisk. Do this continuously for several minutes. Once the cream has doubled in thickness, stop and gently fold in the sweetener and vanilla extract. Whip it for another minute and taste. Taste it and add more sweetener or extract if you want a stronger flavor or more sweetness. Keep whipping at a fast pace, switching the whisk between hands so your arms don't get too tired until the cream has formed soft peaks and looks like whipped cream. To test it, dip the whisk into the cream and hold it upside down over your bowl. Does it slide off? If it's firm and doesn't move, it's done. If not, keep whipping. Be careful not to get too zealous with your whipping. If you whip too long, the cream will turn into butter! Don't worry, you won't go instantly from whipped cream to butter. It takes several more minutes before you achieve the butter stage. All in all, I would say making it by hand will take somewhere between 5-10 minutes depending on how quickly you can whip. Pour the cream into the cold bowl and turn the speed to 2 for about 30 seconds. Switch to a 4 or 5 speed for about 3 minutes or until the cream has doubled in thickness. 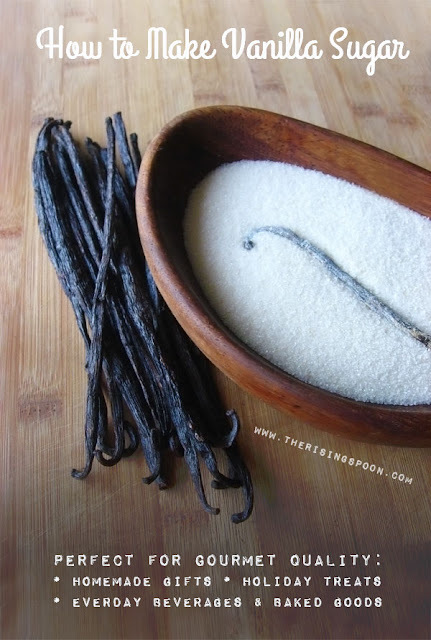 Turn off the mixer and gently fold in your sweetener and vanilla extract. Taste it and add more sweetener or extract if you want a stronger flavor or more sweetness. Whip it for another minute on 4 speed then stop again. Starting low, increase the speed to 5 or 6 and whip the cream for 2-3 minutes more minutes, or until it has formed soft peaks and looks like whipped cream. To test it, dip the whisk into the cream and hold it upside down over your bowl. Does it slide off? If it's firm and doesn't move, it's done. If not, keep whipping. Be careful not to get too zealous with your whipping. Especially, if you're using a stand mixer. Do not walk away while it's mixing. If you whip too long, the cream will turn into butter! Don't worry, you won't go instantly from whipped cream to butter. It takes several more minutes before you achieve the butter stage. Once you've formed the perfect whipped cream, use it immediately or store in a tightly covered container in the coldest part of your refrigerator (probably the back). It should keep 2-3 days before going liquidy. I've heard you can also freeze fresh whipped cream but haven't tried that myself. Ready to make a batch and use it right away? 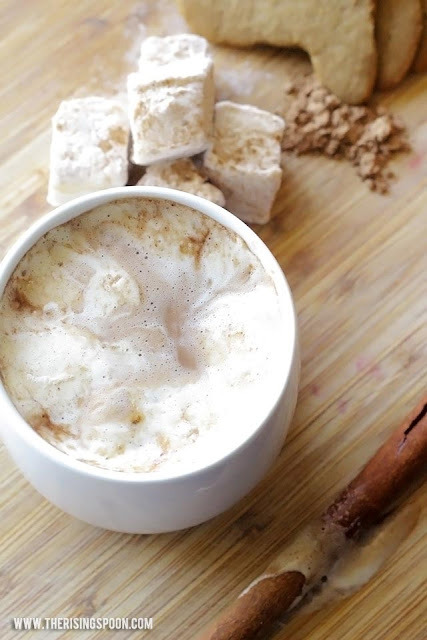 Homemade whipped cream is excellent scooped on top of hot cocoa made with cacao powder or pumpkin spice lattes! 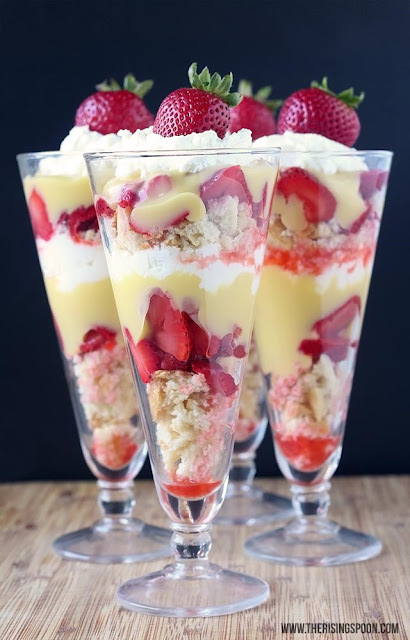 Click Here to Save This To Your Desserts Board On Pinterest!